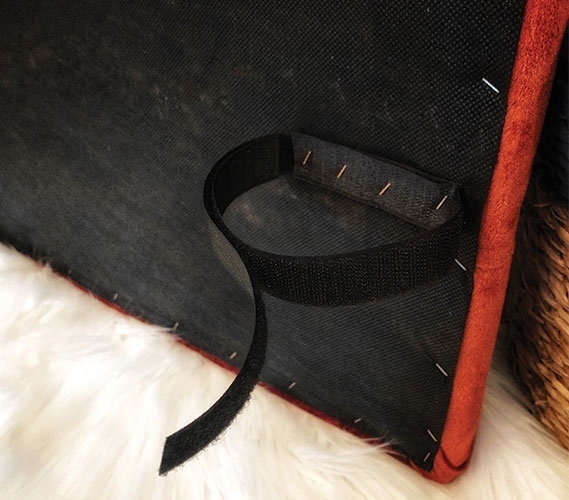 Moving into a college dorm room marks the start of an exciting time in your life. Your college campus is full of new sights, friendships, and experiences that you may be anxious to experience as soon as possible. 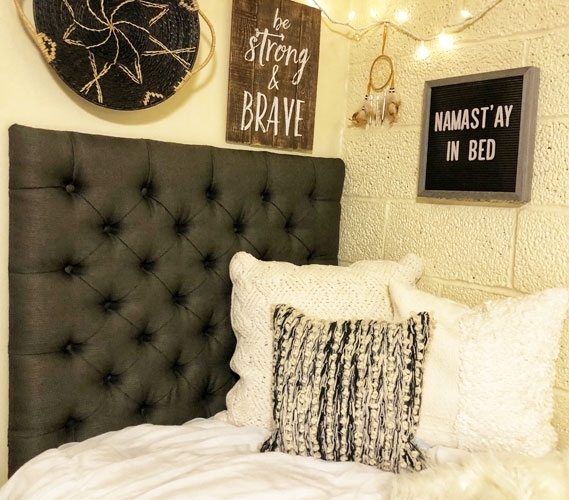 Decorating your dorm room is essential to make you feel at home, but it doesn't have to take much time away from the start of your college life. Bring some easy to install college decor with you and you'll have your dorm room looking like home in no time! 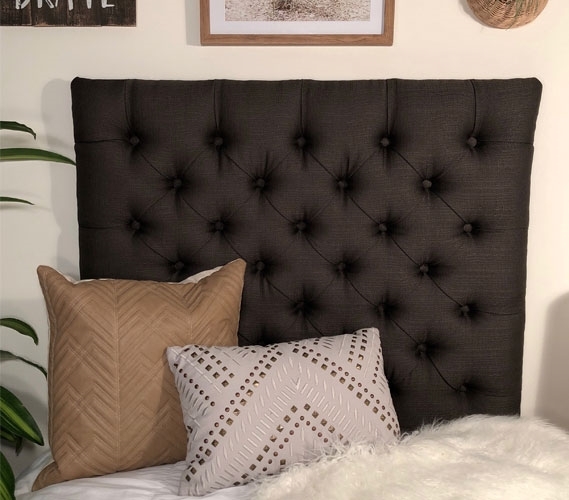 This stylish college headboard is super easy to attach to your Twin XL bedding. 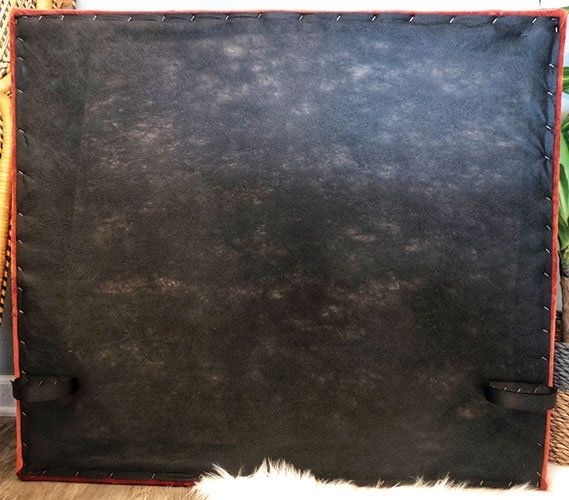 It comes with velcro straps to secure it to your Twin XL headboard, or you can simply stick it between your college mattress and extra long Twin bed frame. 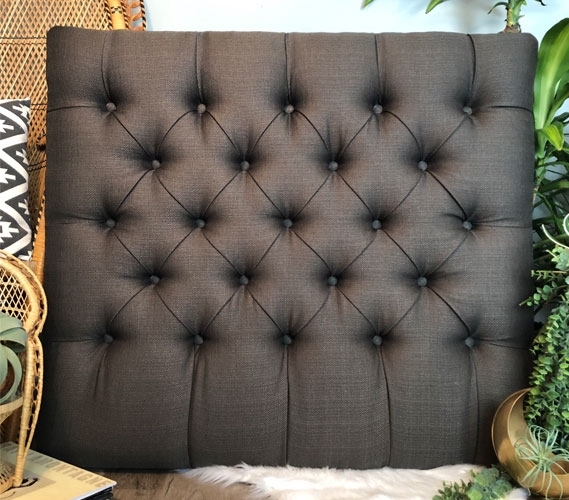 Just because it is easy to add this dark grey dorm headboard to your college decor, doesn't take away from its quality. 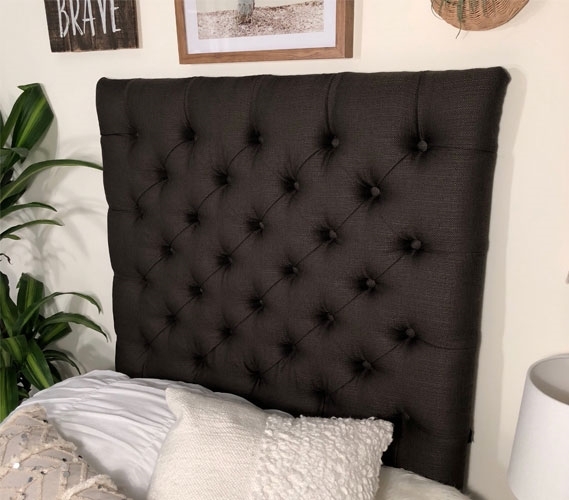 The Linen Graphite Tufted College Headboard is handmade with thick foam and sturdy wood, all of which is covered in a soft material. 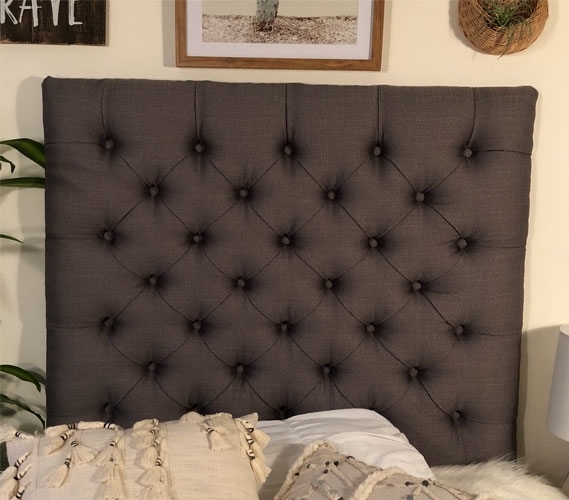 The front of this grey college headboard also has a charming pin-tuck design. 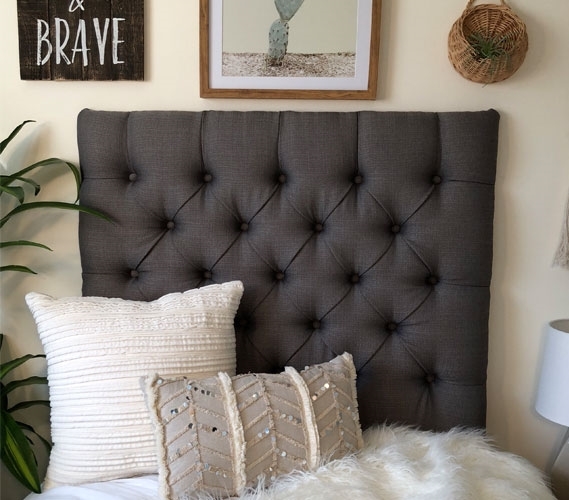 The look and feel of this dorm headboard make it a great addition to your Twin XL bedding.